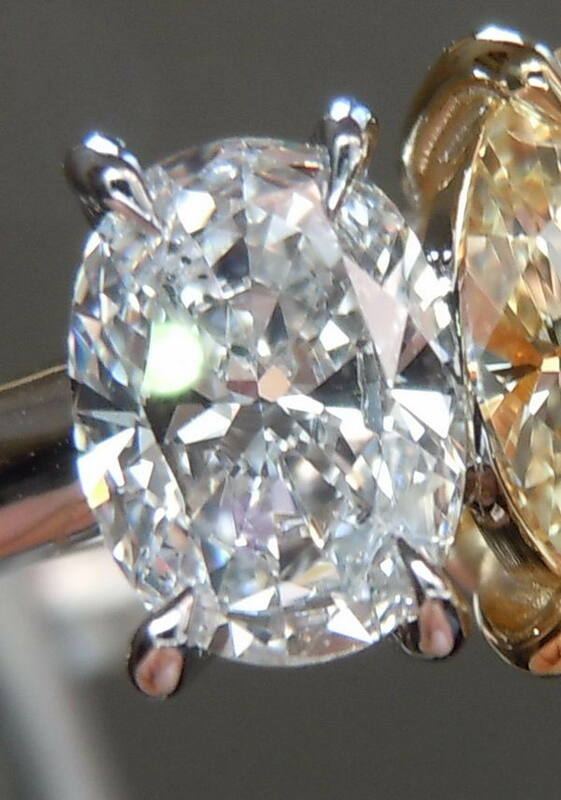 Here is a beautiful custom made three stone oval ring. The stones are a "Sam Spade Special". Sam specializes in matching fancy shape stones (among other things). These stones are so beautifully matched. 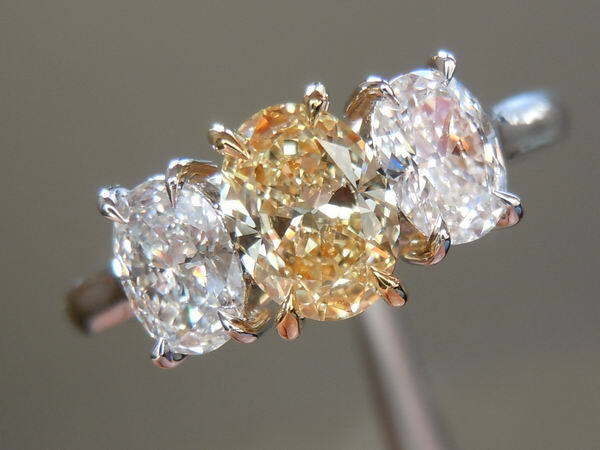 The center stone is nice and warm while the side stones are "gem quality" meaning they are colorless crystal clear. All three are beautifully cut! 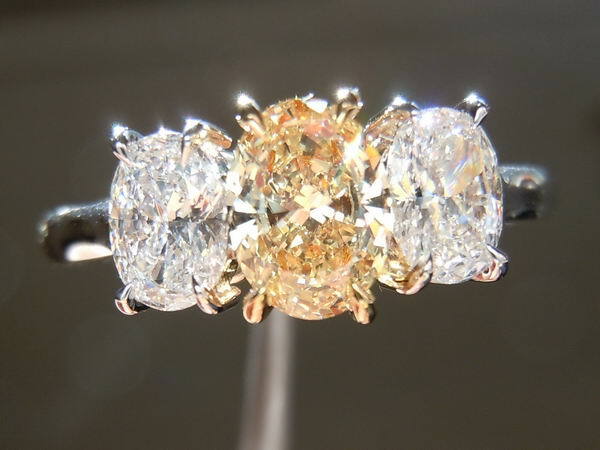 This ring is beautifully executed. 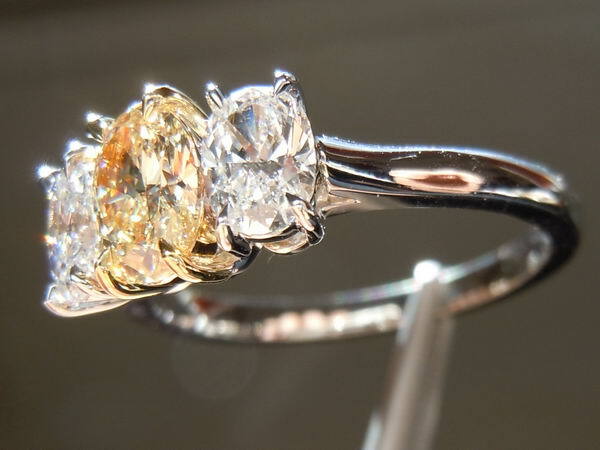 The lovely center stone is set in 18Karat Yellow Gold, while the remainder is done in 18Karat White Gold. 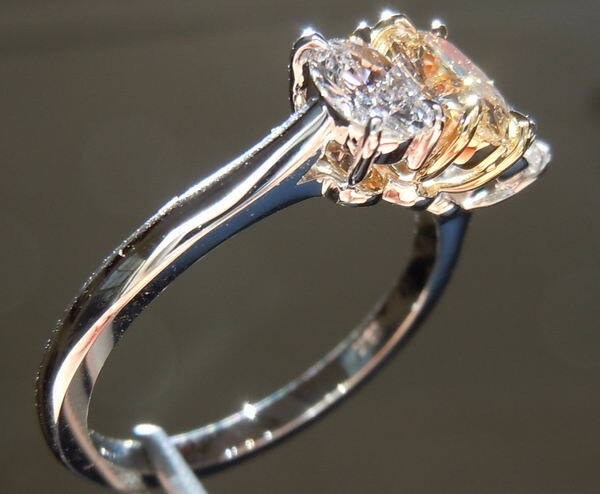 The prongs are divine - beautifully curved claw shape prongs. 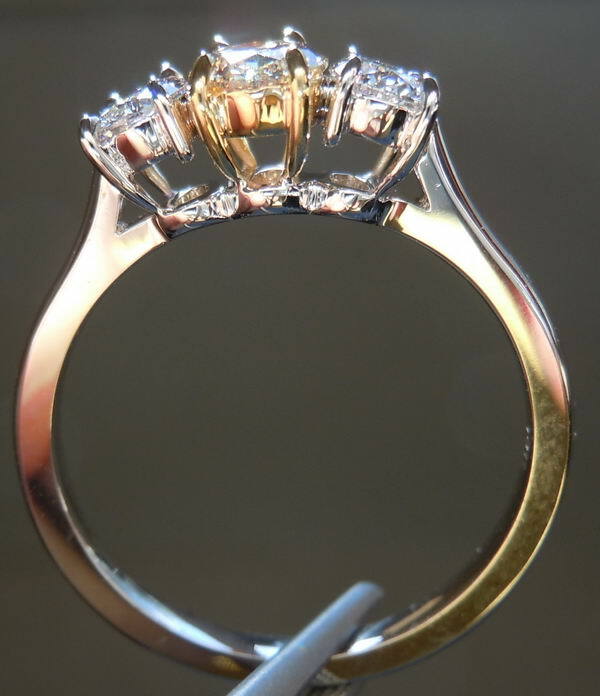 The ring is well made with gorgeous lines to it. 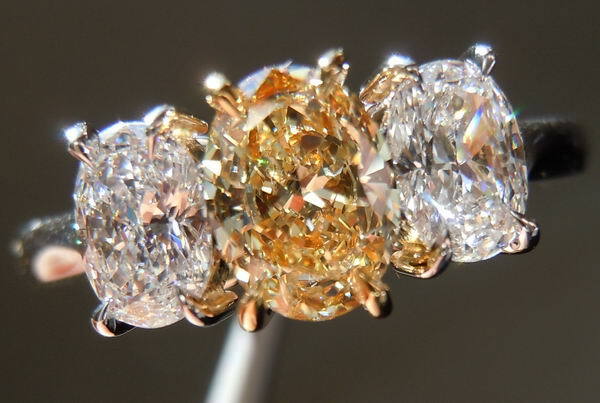 This ring rivals anything some of the highly acclaimed workshops might create.